It’s less than a month till Mother’s Day, which means it’s the time of year when you panic because Mother’s Day is coming up, are relieved to learn you still have plenty of time and lapse into relaxation before it’s suddenly Sunday, May 8, and you realize you have forgotten again. Our advice? Take the bull by the horns, the present by the ribbon and the happiness of those special women (and therefore yours as well) by the Google search, and take care of that gift now. And to help you on your way, we have provided some visuals of the different reactions moms have to the various presents you’re thinking about giving them. Let this be your guide to good and bad choices for Mom this Mother’s Day. You might as well give her a coupon for your kids’ leftover french fries or an extra hour of sleep, in which she still has to answer the kids’ questions and solve their problems but does it from a horizontal position. I guess it’s nice, but it doesn’t quite cut the mustard as a Mother’s Day gift. Ah, now we’re getting somewhere. If the mom in your life loves wine and this gift card is for more than $5, then you have chosen well, grasshopper. Fantastic. She’ll love a subscription to another magazine she has no time to read and that just takes up space in the house until she has to haul a year’s worth out to the recycling bin, which in turn just reminds her of how little time she has in her life for things like reading magazines. What you are giving her is the gift of sadness. If the mom in question is your partner and you never want to see her naked again, then you’ve hit this one out of the park. If the mom in question is your mother and you want her to feel like she’s less than five years from death, then add a hemorrhoid pillow to the box, and call yourself disowned. Oh, she’ll act like she doesn’t want it, but trust us, she wants it. 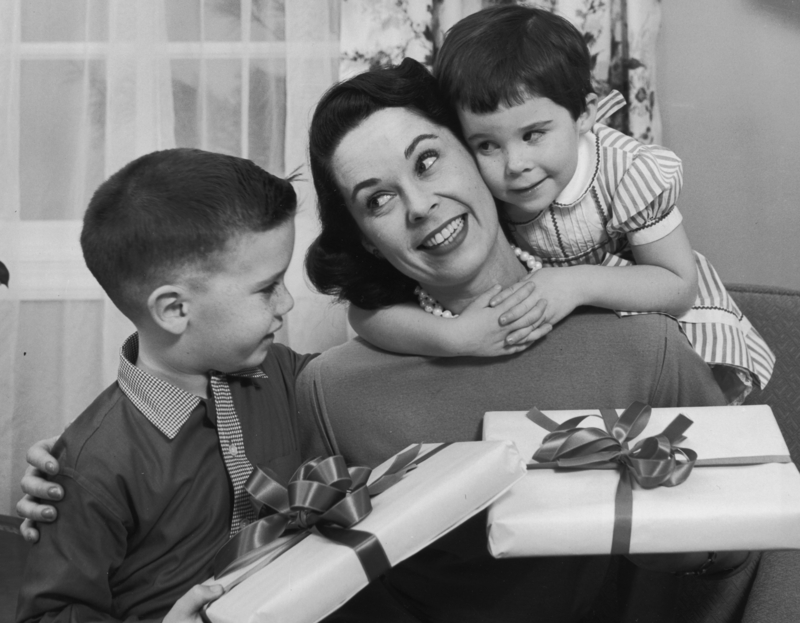 There may be a SheKnows writer out there whose husband was so worried about getting her the right thing for Mother’s Day that he ended up deciding to not get her anything at all. This possibly true story is touching in an “I love that you care, but I also wish you’d just gotten me a bathrobe and a hemorrhoid pillow” kind of way. Let these images float through your head as you peruse various websites over the next couple of weeks. The goal is to avoid the dry heaving of No. 1 and move more toward the tearful fist bump of No. 5. Good luck, and remember, there’s always chocolate.